The secret to making speakers sound great lies with the crossover you use. With the dbx® 234s Crossover you'll get great performance, ultra low-noise, rugged reliability and four decades of dbx knowledge and expertise in building the world's finest processors. The 234s uses precision filters to separate the audio signal and direct the correct frequencies to your loudspeaker drivers. By directing only the specific frequency bands to each speaker driver the 234s leaves your amplifiers free to use their full power on the usable signal eliminating distortion and giving your PA system a cleaner and better sound. 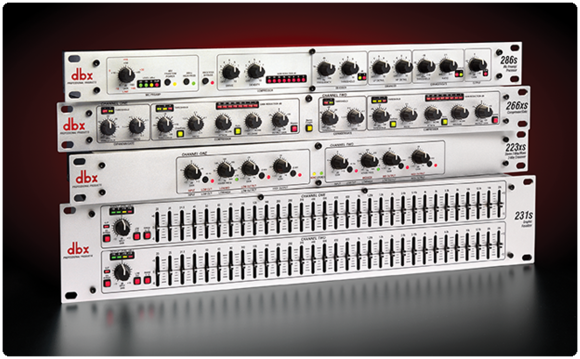 The dbx 234s is a dual channel crossover with all the features you would expect from a professional product. It features Linkwitz-Riley 24dB per octave filters, independent output gain controls for level matching, output phase inversion, 40 Hz low cut filter, and optional mono summing of the low frequency (subwoofer) output. Everything in the design exudes great precision from the solid "click" controls to the high quality 1/4" TRS inputs and outputs.